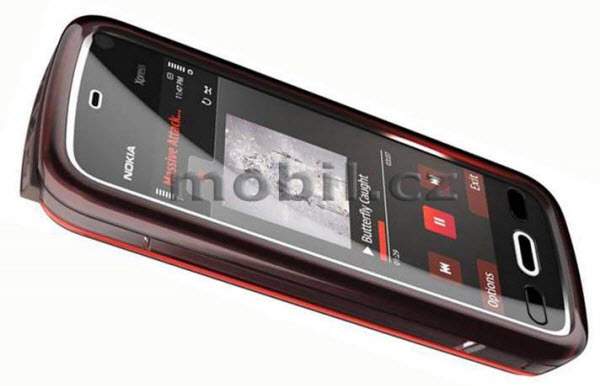 Nokia today announced the launch of the eargerly awaited XpressMusic 5800, aka the Tube, its first touchscreen phone. The XpressMusic phone will be integrated with the Nokia’s Comes with Music service and will operate the S60 5th edition interface with touch user interfaces and sensor recognition, which were also launched today. In addition to the specs that we already know of, the phone will also have two handy software features called the “Media Bar’ and the ‘Contacts Bar’. The Media Bar, as the name suggests provides easy access to all the media on the phone. The Contacts Bar provides ability to highlight four favorite contacts on their home-screen and, through a single touch, track a digital history of recent text messages, emails, phone logs, photos and blog updates. The phone will be available worldwide beginning in the fourth quarter of 2008 (in October?) for an estimated retail price of 279 EUR before taxes and subsidies. No network tie-ups were announced. Recently, the XpressMedia tube was spotted in the wild. Now, Reuters is reporting that Nokia will unveil the XpressMedia Tube, its first touchscreen phone on October 2 at an event in London. Two inside sources have confirmed to Reuters that the launch is on as rumored earlier. What remains to be seen is the price and markets it will launch in. The upcoming, all-touchscreen, candybar phone from Nokia, the 5800 XpressMedia Tube has been sighted in the wild by Mobil.cz. Below is the photo of what it looks like. The rumored Samsung Tocco, aka T919, aka Roxy, has been put through its paces at the FCC. The documents confirm the earlier rumored features includes HSPDA, touchscreen, MP3 player and AGPS. Some other features like camera and memory are yet to be confirmed. However, it appears to run the Symbian S60 version 5, the new version that supports touch. If the launch date holds, it could be the second handset after the Nokia 5800 Tube to get the new S60 operating system. You can read the review here. As you can see from the picture, it appears to be heading to T-Mobile with a rumored launch date of November 3rd, 2008. Neither Samsung nor T-Mobile have confirmed this yet. Update: According to Nokia India’s marketing director, the company plans to launch a touchscreen mobile by the end of 2008. Though he did not mention the phone, it is obvious that he was referring to the Tube as that it is the only known touchscreen phone Nokia has in the works. And if that is indeed the case, then the release date might not be Oct 8 as reported below, but more closer to Christmas. Rumor has it that Nokia might release the 5800 Tube on October 8th in UK. For those of you who don’t know what the fuss is all about, the 5800 Tube is Nokia’s first touchscreen phone with the new version of it S60 operating system. Now, we have heard these rumors as early as July, but they turned out to be false. Let’s see if the new rumors hold true. No word on which operator and at what price yet. Just Another Mobile Blog is reporting that Nokia is readying the 5800 XpressMedia Tube for launch next month. This is a full 3.2″ screen, haptic-touch device with 3.2Mpxl camera that weighs just over 100g. 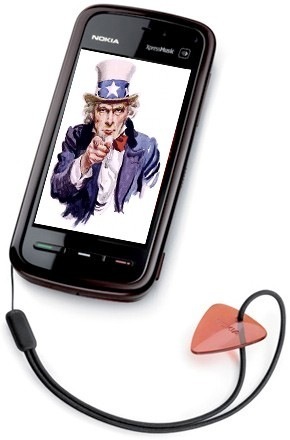 It is a 3G phone running on both GSM and WCDMA with HSDPA networks and has WLAN support. It comes with mobile TV, GPS and the Symbian S60 version 5 with accelerometer for playing mobile games. It has smaller on board memory 140MB but also has microSD card slot. No word on the price or release date.